This suite allows you to get both products at a discounted price. The previous version of moirai Encompass included the original moirai Compositor and moirai Sequence. This new version of our suite includes the new moirai Compositor v3. 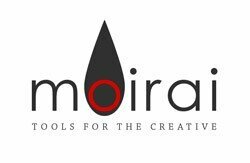 If you purchased the previous release of moirai Encompass, upgrading to the new moirai Compositor v3 will get you up to speed with this latest version. To upgrade, go here.